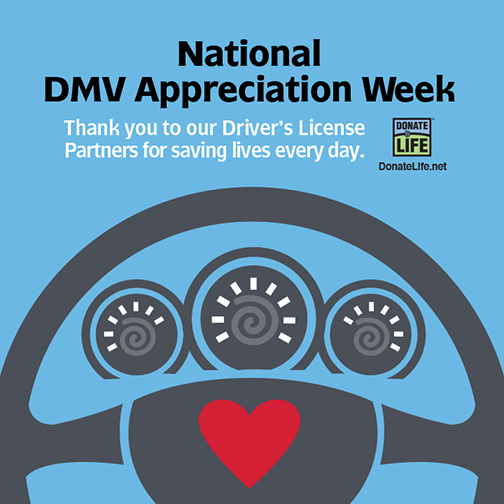 DMV and Driver’s License Partners (DLPs) are vital partners in saving and healing lives. 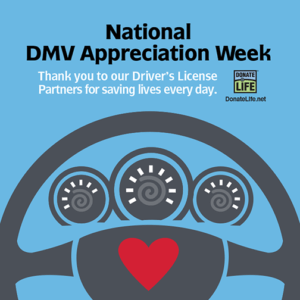 DMV staff ask the donor registration question to customers every day. 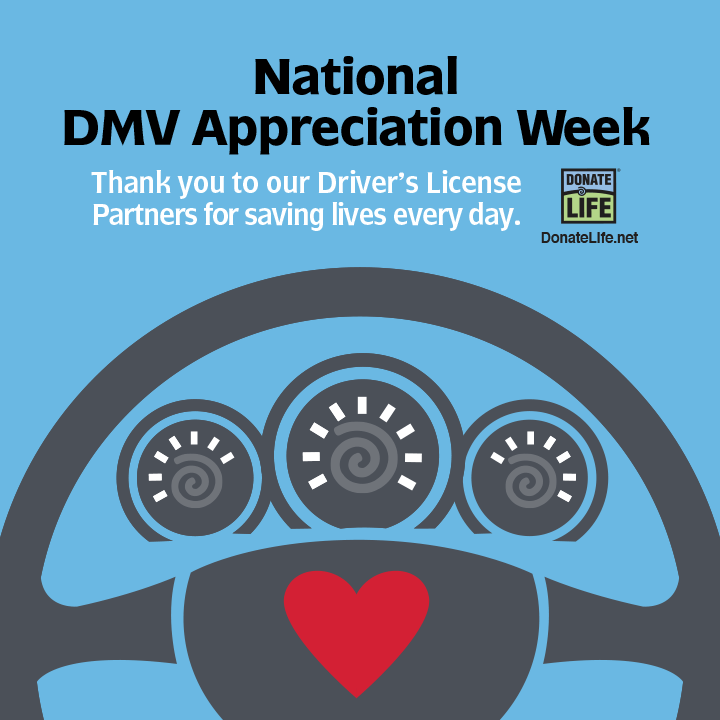 Partnerships with DMVs remain the primary source of state donor registrations. 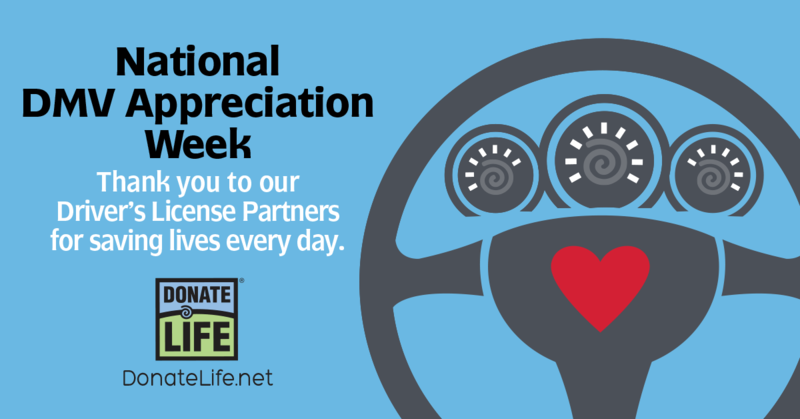 DMVs and DLPs are the people on the front lines of service who have helped register more than 140 million donors across the country. 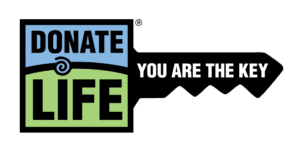 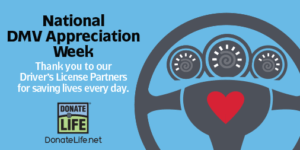 National DMV Appreciation Week was created by Donate Life America in 2016 to thank DMVs and recognize them for their commitment to the Donate Life mission. National DMV Appreciation Week is a time for the Donate Life Community to say thank you and show its appreciation of DMV partners across the country through national and local events and outreach. 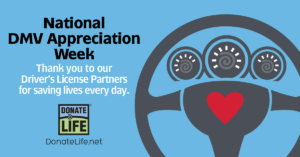 For DMV and DLP staff: Learn more about the DLA DMV Awards and contact your Donate Life State Team Leader or DMV contact with any questions.